Yes, I'll have some mustard, please. Yes, both the pollen and the nectar, thank you. We watched a honey bee buzz into our little mustard patch, her proboscis (tongue) extended, and pollen weighting her down. If she were at the airport, someone would have volunteered to carry her bags. But there she was, determined to bring back both pollen and nectar to her colony. It's nature's equivalent of gold. It's spring and time for the colony build-up. In peak season, the queen bee lays 1500 to 2000 eggs a day. Everyone has a job to do, and if you're a bee scientist or a beekeeper, you'll see them all: nurse maids, nannies, royal attendants, builders, architects, foragers, dancers, honey tenders, pollen packers, propolis or "glue" specialists, air conditioning and heating technicians, guards, and undertakers. What's thrilling this time of year, though, are the worker bees bringing home the mustard. 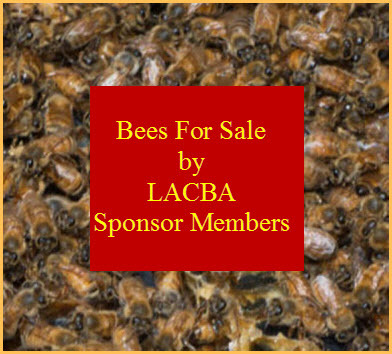 Want to learn more about bees? Be sure to stop by Briggs Hall, off Kleiber Hall Drive, on Saturday, April 13 during the campuswide 105th annual UC Davis Picnic Day. 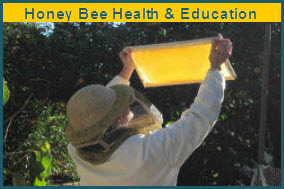 You'll see a bee observation hive, as well as smokers, hive tools and veils, all part of the UC Davis Department of Entomology and Nematology displays. You can talk to the bee scientists. And you can sample many different varietals of honey. Briggs Hall also will feature cockroach races, maggot art, t-shirt sales, face-painting, aquatic insects, forensic entomology, Integrated Pest Management Program display, fly-tying and much more. It's free and family friendly. And over at the Bohart Museum of Entomology, located in Room 1124 of the Academic Surge Building, more entomological excitements await. It's the home of nearly eight million insect specimens, plus a gift shop and a live "petting zoo" of Madagascar hissing cockroaches, stick insects (walking sticks), tarantulas and praying mantids. Stay tuned!